Prime Minister Narendra Modi issued congratulatory notes for the three personalities. Nanaji Deskhmukh was awarded Padma Vibhushan in 1999. He died in 2010. 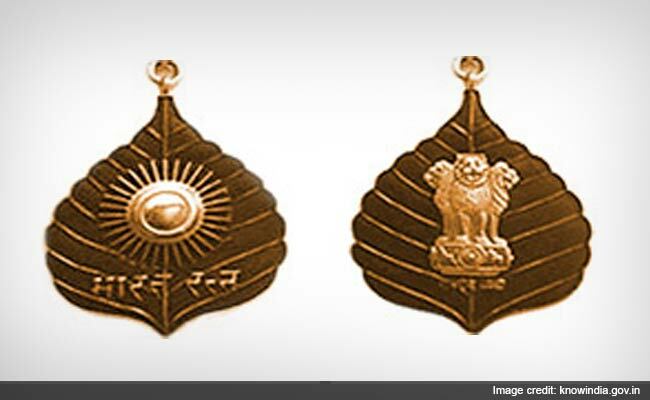 New Delhi: President Ram Nath Kovind today announced the country's highest civilian award-- the Bharat Ratna-- to be given to former president Pranab Mukherjee, social activist Nanaji Deshmukh (posthumously) and musician Dr Bhupen Hazarika (posthumously). Prime Minister Narendra Modi issued congratulatory notes for the three personalities. Nanaji Deskhmukh had been a member of Rashtriya Swayamsevak Sangh (RSS), which is the BJP's ideological mentor. He had worked as the RSS Pracharak in Uttar Pradesh. As a social activist, he laid emphasis on education. He established first Saraswati Shishu Mandir at Gorakhpur in 1950. Nanaji Deskmukh was also the general secretary of the RSS' political branch, the Bharatiya Jana Sangh, which was dissolved in 1977. Nanaji Deshmukh is credited with bolstering the Jana Sangh in Uttar Pradesh. Nanaji Deshmukh also took part in Jai Prakash Narayan movement during the Emergency. He quit politics in 1980 and resigned as a member of parliament. He was awarded Padma Vibhushan in 1999. He died in 2010.